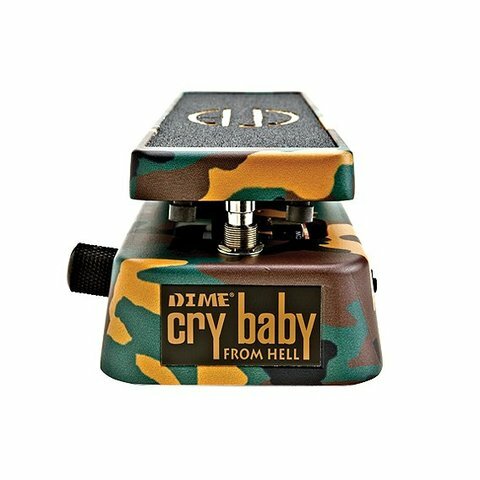 Designed in conjunction with legendary guitarist Dimebag Darrell, this hot-rodded pedal gives you everything you need to do serious wah damage. This might just be the most flexible, powerful wah pedal ever. 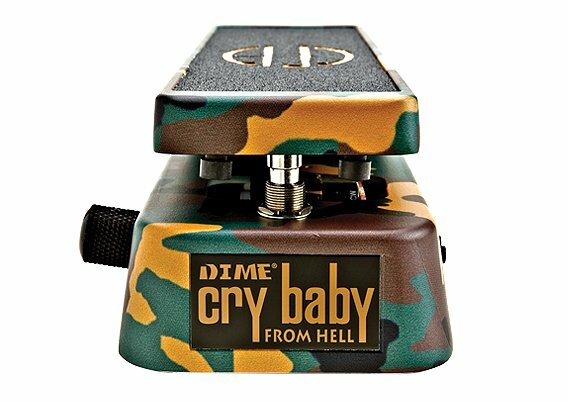 Designed in conjunction with legendary guitarist Dimebag Darrell, the DB01 Cry Baby From Hell features an extended sweep range with a fine tune knob, 6-way range selector, kick-in volume boost and LED indicators (Wah on/off, Boost on/off) at the back of the pedal. This hot-rodded pedal gives you everything you need to do serious wah damage. Power: Dunlop ECB003 AC Adapter or Single 9 volt battery.